Appliqués are decorative items of one material or metal affixed to another. Examples would be flowers or other small metal motifs riveted to a hardstone plaque, or a plaque of stone, enamel or other material applied to the top of a metal plate. 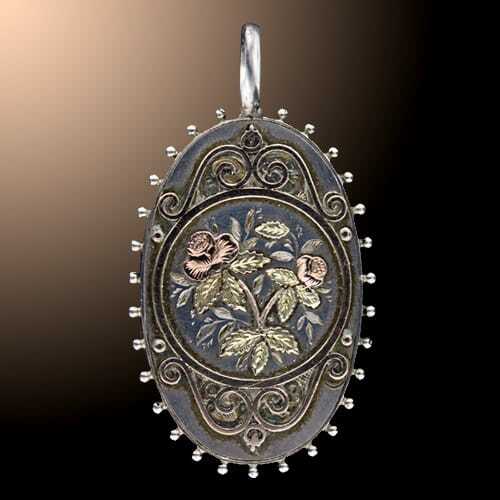 Victorian Silver Locket with Gold Floral Appliqué.